When the end of a Session of Congress nears, bad things generally happen. Think the Dodd-Frank takeover of the financial services sector or giant spending bills with lots of earmarks tucked away passing after midnight. This year some especially pernicious bills are sitting on the calendar just waiting for the year-end rush to allow them to sneak through while the citizenry is asleep with visions of sugar plums dancing in their heads. Chief among the bills that is hanging out there is amnesty for illegal immigrants. Do not believe for one moment that immigration “reform” is dead. It isn’t, and it won’t be, until enough Members of Congress who believe in the rule of law and American exceptionalism, such as Senators Jeff Sessions and Ted Cruz, are elected to stop it and a President who will actually fulfill his oath to faithfully execute the laws is elected to replace the current lawbreaker in chief. While amnesty may get the most attention it is by no means the only threat to liberty that Congress has pending. 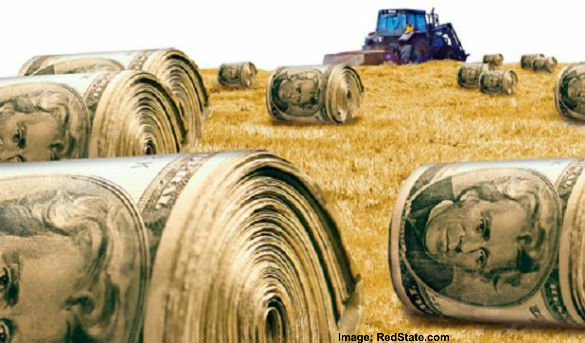 Chief among the giant spending bills is the “farm bill” which long ago became the “food stamp bill” and a central element of the Democrats culture of dependency. More people have joined the food stamp program than have gotten jobs since Obama became President. The program doubled under big government Republican George W. Bush and has already almost doubled in just five years of even bigger government President Barack Obama. However, welfare to fund the Obama culture of dependency isn’t the only kind of welfare in the farm bill – there’s plenty of corporate welfare as well. "If you are a Republican and you say social welfare programs are wasteful, you are hypocritical if you turn around and give subsidies to corporations," said Tim Phillips, president of Americans for Prosperity. In the past logrolling between urban Democrats and big government Republicans from farm states meant a massive farm bill would have passed with little opposition and locked-in a massive government spending program for another five years. The grassroots fiscal conservatives of the Tea Party movement are watching, and Heritage Action and other organizations have helped amplify their voices. So far this year Congress has enacted only 52 new laws according to the website GovTrack, which follows legislation. Compared to the 284 laws enacted by the prior Congress from early 2011 to early 2013, that is indeed a huge drop-off from earlier sessions of Congress. Our take is similar to what Rep. Steve Southerland (FL-2), told The Wall Street Journal in a recent interview, "If you value government doing things, you're going to be more harsh on what we've done. But if you think government does too much, then it's not as alarming." We’re not alarmed in the least that Congress has only passed 52 bills, the fewer the better in our estimation. As the end of the year approaches there are going to be a whole slew of articles in the establishment media to the effect that this has been an “unproductive” Congress and that there is all kinds of unfinished business that must be rushed through the process before the end of the year. If you believe, as we do, that the federal government has been overreaching and spending way beyond its means, then call your Congressman and Senators and tell them “no year-end rush, no midnight votes,” particularly on amnesty and big spending bills like the Farm Bill.